A suicide bombing in front of the Supreme Court, just one day after a major attack on the airport in the capital city. Afghanistan is going through a surge from the Taliban’s “spring offensive” that threatens to continue unchecked. Earlier this month Gen. Dunford, the commander of NATO occupation troops, conceded that Afghan troops are suffering “heavy losses,” and the Interior Ministry reported 100 attacks per day. The Taliban’s attacks are more numerous and more ambitious, targeting security forces in direct attacks as well as the indirect strikes that were more common in past years. 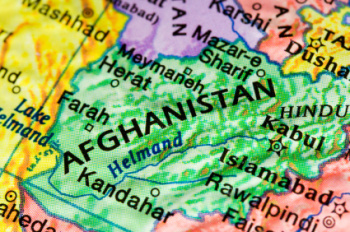 Despite the enormous number of attacks, the Afghan military issued a statement dismissing concerns, saying that they were confident that the Taliban poses no “major threat” to the Afghan government.